Home / -Preview- / Isley Brothers / Preview / Santana / Santana and the Isley Brothers Come Together For "Power of Peace"
Santana and the Isley Brothers Come Together For "Power of Peace"
Legacy Recordings will release Power of Peace, a new collaboration between Santana (Carlos Santana and Cindy Blackman Santana) and the Isley Brothers (Ronald and Ernie Isley), on August 4. The album salutes the great music of soul, funk, blues, rock, jazz and pop with brand new versions of such songs as Are You Ready, Higher Ground, God Bless the Child, Mercy Mercy Me (The Ecology) and What the World Needs Now. Also included is a new song, I Remember, written and sung by Cindy Blackman Santana. Also appearing on the album are Ronald and Ernie's wives Kandy Johnson Isley and Tracy Isley. 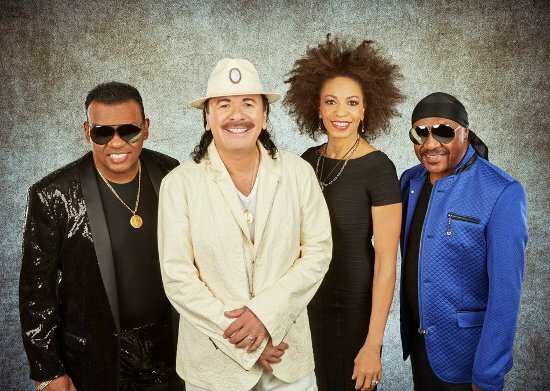 Carlos Santana said of the project "I feel a deep sense of gratitude, appreciation, and thankfulness. There is a spirit of creativity that came knocking and presented itself as a golden opportunity to do something with and for a supreme musician, who I consider to be the best in the world. Brother Ronnie Isley has been in the center of collective unity and harmony on the radio around the world since 1962 with Twist and Shout, the song that the Beatles chose to invade America with. Like Michael Jackson, John Lennon, and Bob Marley, he's an iconic supreme of the highest order. Cindy and I feel very blessed to offer him this gift. From God, through us to you, for the world…Mr. Ronnie Isley." Ronald said "It was an absolute joy working on this album with Carlos! I hope this record carries the spirit of hope, love, and peace to the world that it brought to me, my brother and Carlos!" Ernie added "Doing this project with Carlos Santana was fun and illuminating. I hope all music lovers enjoy what we have done."